The F400 Platemeter comes with a multi paddock memory meaning the figures from each field measured are stored ready for downloading to the PPlus software via USB cable- You no longer need to take a notebook and pen with you when platemetering! The F400 displays average height and KgDM/ha as well as paddock names, numbers and sizes, last recorded measurement and average growth since last measurement and many other features. The F400 comes with the PPlus PastureCovers software to download, record and display figures and grazing wedge data on your PC. 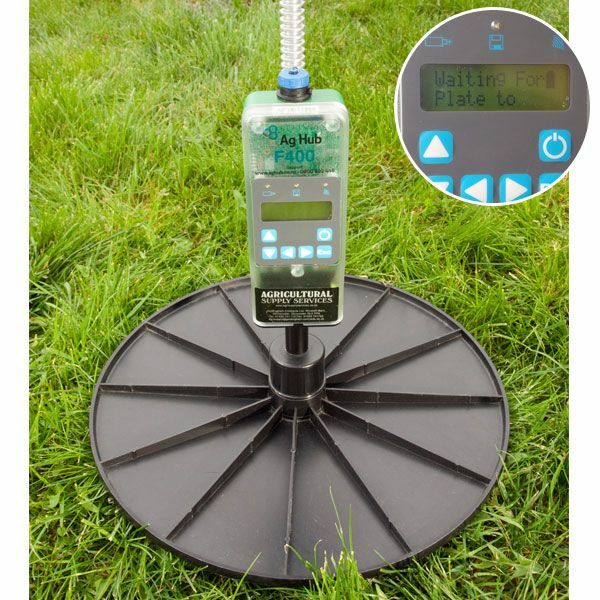 The F400 Platemeter works in a similar way to the F300 using an electronic digital counter unit to record the grass height and number of plonks. 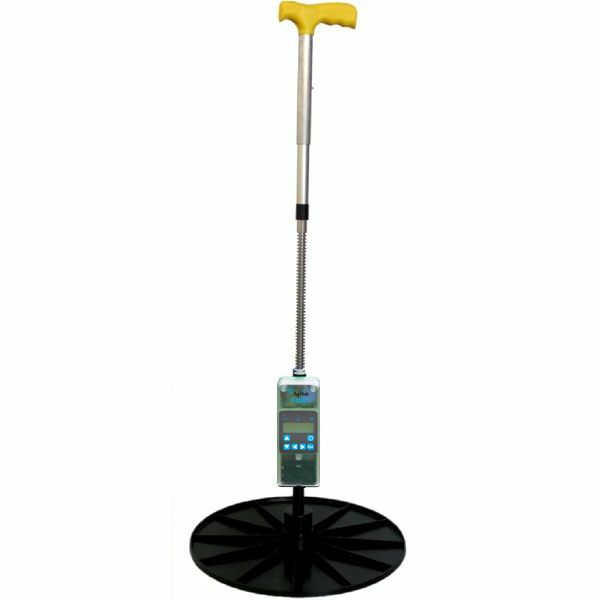 A formula (user adjustable) is used to display the Average grass yield in KgDM/ha. The Platemeter displays the paddock list on the built in display as well as showing paddock sizes, previous readings and grass growth since last reading. The F400 is powered by a re-chargeable battery for ease of use, charging is provided when the F400 is plugged into a computer with the USB cable provided, or by using a standard USB charger. The order the fields are walked in is pre-set on the software, however as the paddock list is displayed on the platemeter screen, the walk order can be easily changed when in the field. Up to 280 paddocks (fields) can be stored in the F400 memory. The F400 also features an auto calibration function, Anti Roll feature to eliminate false readings as well as the ability to record grazing state. All this information is downloaded to the software when the F400 is connected to the PC with the supplied USB cable. Can I use the F400 With Agrinet? 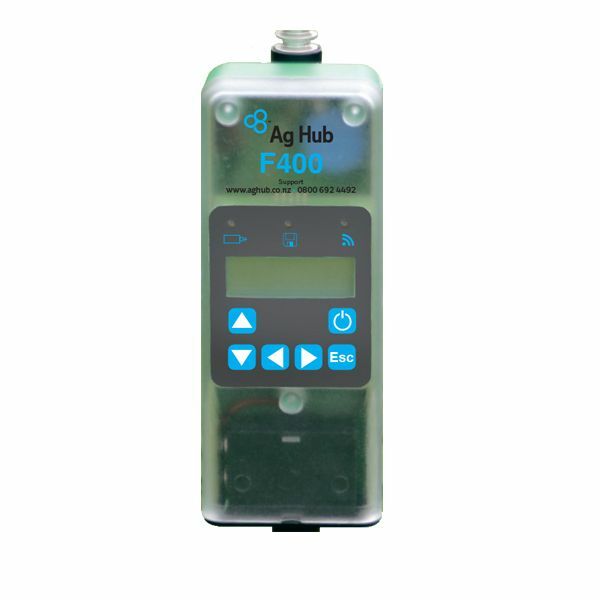 Yes, the figures from the F400 can be transferred into Agrinet by first downloading into PPlus software that comes with the Platemeter, then exporting from PPlus to Agrinet.